Police have caught 34 motorists exceeding the speed limit by over 45 kilometres per hour in the past six months. File Photo. 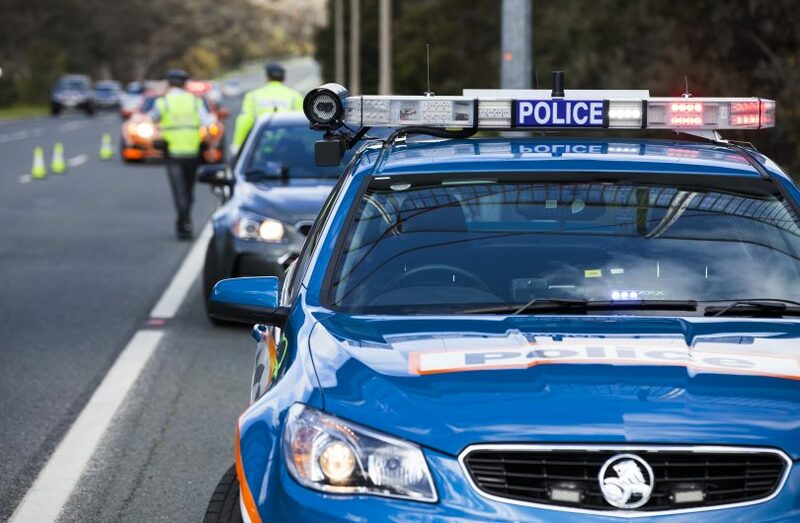 ACT Policing has launched a road safety campaign this month to crack down on speeding, after nearly 2,000 Canberra motorists have been booked for driving over the speed limit in 2018. ACT Policing and the Justice and Community Safety Directorate have launched the joint road safety campaign to remind Canberrans there is no excuse for speeding. Police have caught 34 locals exceeding the speed limit by over 45 kilometres per hour in the past six months. The officer in charge of Traffic Operations, Station Sergeant David Wills, urges ACT drivers to be mindful of speed limits on the roads. “There is simply no excuse for speeding,” Station Sergeant Wills said. Station Sergeant Wills reminded Canberrans to be conscious of the dangers of violating those speed limits and the potentially life-changing consequences. “The faster you go the harder you hit, and the more likely a collision resulting in serious injury or death will occur. Don’t let one action have life-altering consequences for yourself or others,” he said. “With nearly 2,000 motorists booked for speeding so far in 2018, there are still far too many people out on Canberra’s roads ignoring the speed limits. It would be interesting to know how many of the 2000 were actually nabbed by a human police-person and how many by fixed or static camera. The government must be in need of money. Hey boys and girls, go out there and beef up the Going Fast Tax. 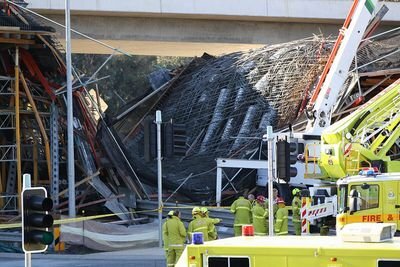 So is is too much to ask for a full breakdown of all crashes in the ACT for last year with their primary and contributing factors? Then can we find out how each of those is being addresses in a proportional manner through enforcement, education, policy, etc? I made a similar request but for some reason it hasn’t appeared. To me it appears the police disproportionally target speeding because its easy and ignore other serious aspects of dangerous driving. For example I’d question the comparative likelihood of an accident with someone driving 90 in one of our 80 zones in dry conditions outside of peak times vs someone doing 70 in that same 80 zone in peak times but only maintaining a half second gap behind the car in front. Previous analysis of such breakdowns has revealed that police are likely to tick the speed box regardless of circumstances, while many independent analyses have shown that driving too slowly is a far greater contributor. Whaaat !?!? Driving 65 in 80 zone and strictly in the right lane !?!?!? Trying to ram you of the road if god forbid you overtake them on the runabouts !?!?!? Noooooo ?!?!!? I personally think drivers pulling out in front of people at suburban intersections, dangerous roundabout driving and rat running through the streets is a bigger cause of accidents than general speeding through major canberra roads. Police never target those driving issues I mentioned because it’s much easier and cheaper to apply a radar gun and/or Camera to catch drivers. Usually a camera at the bottom of a hill where they can catch anybody a few over because they haven’t ridden their brakes all the way down, or on dead straight stretches of road directly after a speed transition. You can personally think whatever you want, but you can’t really argue against statistics, and statistics say that speeding causes more accidents. My reading of the statistics and explanations is that excessive speed is a contributory factor in crashes. The cause is often something different. They target speed both to mitigate consequences and because it is easy to establish with available technology which is fair enough. My problem with the road safety enforcement arrangements is there is almost a negative result from a failed strategy and they appear clueless to devise alternative approaches. Wellington Sludge can you provide your Stats for Canberra crashes and speed at collision time, to match your claim that it’s a bigger Cause than poor driving at Canberra roundabouts and intersections. A quick Google search suggests that the majority of ‘crashes in Canberra’ are at Intersections and Roundabouts and at peak times and places where traveling above the posted speed limit is not physically possible. I believe speeding is a problem and the largest proportional cause of accidents Australia wide, but Canberra may have different stats than the over crash represented regional areas. And what statistics are these? There have never been any released for the ACT showing the true causal factors for each type of crash. A quick look at the stats for 2016 shows 307 of the 611 casualty crashes were right turn/right angle or nose to tail collisions. Now while some of these would have involved exceeding the speed limit, the vast majority would be driving without due care and attention. When you add in others like sideswipes and animal strikes the argument that speeding causes more crashes is just factually incorrect. Many independent analyses in many nations have shown that the police tick the speeding box regardless of the circumstances. Police could have booked this many after a week on the GDE if they were out and about. And I’m not talking 5-10km over the limit.